Copyright feels complex and hard–but policy isn’t that different from something most of us do regularly–software requirements gathering. So let’s gather some requirements for the Copyright Act review. What’s important to you? What would make your life easier–or harder? Where are the pain points for you right now? Let’s work together so that we can all write strong submissions that will help MBIE understand what a fit-for-purpose copyright law looks like in 2019. We’ll have drinks, nibbles, and a highly interactive workshop–where we can help each other define what we want from copyright law and we can all work together to develop effective submissions. We encourage you to read through the Issues Paper ahead of the workshop, but don’t worry if you haven’t! We will review the paper and collaborate to identify the most important areas for each of us across our various sectors. 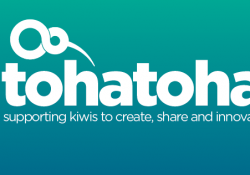 Tohatoha is a non-profit organisation that helps people share their copyright works for reuse by others. Sometimes creators and other copyright holders want the public to be able to reuse their works but are unable to allow reuse easily and legally given the works’ “All Rights Reserved” copyright status. Creative Commons licences enable copyright holders to allow reuse of their works by giving everyone a range of permissions in advance. Using a clear and robust Creative Commons licences, you can choose the kinds of permissions to grant over your work. Individuals, institutions, artists, scientists and public agencies around the world are now declaring “Some Rights Reserved” with Creative Commons licences. People who use Creative Commons licences are contributing to the Commons, that global pool of reusable works, and are helping to create a culture of sharing, reuse and innovation. Games and Politics has been touring worldwide and features 18 significant politically-ambitious video games, it encourages viewers to examine how they each unfold their unique political potential. The exhibition offers numerous materials which allow the visitor to explore the connections between computer games and politics. Visitors are encouraged to get first-hand experience and are welcome to play themselves – to slip into the different roles and try their luck in the virtual worlds unfolding in the games. A game is always more than just a game. Without considering the influence of the society that plays it, it remains just as impossible to understand as without considering its influence on that society. 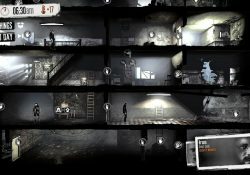 And yet, chants of euphoric praise for the immersive potential of pedagogical propaganda are as inadequate vis-à-vis the diversity of contemporary computer games as are undifferentiated media debates about ego-shooter games that glorify violence and ought to vanish from the bedrooms of young people. Because they aren’t vanishing. The apparent riffraff among the newer media have long since turned into formidable giants, about to create, in their numerous guises, a new leading medium. This development has come to include the political sphere as well and games are increasingly used as propaganda for various political factions and often express a certain political stance. In contrast to representational media such as painting and photography, computer games conceive of themselves not merely as a (re-) presentation of social conditions and conflicts, but attempt to simulate the processes and rules that give rise to these conflicts. All of the games in this exhibition share this political approach, which is intended by the games’ designers to set them clearly apart from both the conventional market as well as from computer games as an entertainment medium. They explore a wide range of topics. Aside from the contingencies of political decision-making (Democracy 3), they grapple with problematic aspects of gender (Perfect Woman), of the surveillance state (TouchTone and Orwell), of drone warfare (Killbox), the treatment of refugees (Escape from Woomera), uprisings against totalitarian political regimes (Yellow Umbrella), the power of the media (The Westport Independent) or historical and current political events (The Cat and the Coup and Madrid).